Some of the world's top websites will have to purge themselves of all content that is offensive to Indians by February 6. The companies must update their progress on the effort within two weeks, a court in New Delhi ordered on Saturday, the reports say. The demand is the Indian government’s latest attempt to monitor and control electronic information. 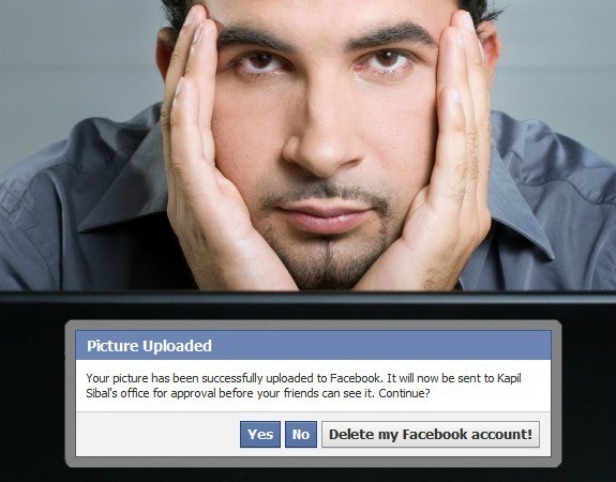 Facebook, Microsoft, YouTube, Google, among 21 others will have to strip their websites off any objectionable content. Given that some of the Internet scandals that have hit India recently that will include all images of women kissing men. Reports say India is pressing major Internet firms to filter out what the government considers unacceptable material, including religiously sensitive images and altered images of politicians. 21 social networking sites, including the ones mentioned above have been "issued summons" by the court, on grounds of carrying objectionable content. They have now been charged with section 292 (sale of obscene books etc), 293 (sale of obscene objects to young person etc) and 120-B (criminal conspiracy) of the IPC. In the fresh case, the court said, "it appears from a bare perusal of the documents that prima facie the accused in connivance with each other and other unknown persons are selling, publicly exhibiting and have put into circulation obscene, lascivious content which also appears to the prurient interests and tends to deprave and corrupt the persons who are likely to read, see or hear the same." Some Indian cities like Mumbai have already set up special units to monitor Internet sites like Facebook and Orkut, the social networking site operated by Google, for content considered disparaging or obscene. India has made nearly 70 requests to Google to remove content between January and June of this year, one of the highest request rates of any country though less than the United States’s 92 and Brazil’s 224.